Getting kids to do things that are good for them, such as brushing their teeth, can be a struggle. Many youngsters would rather play or watch TV than worry about removing leftover food from their teeth. 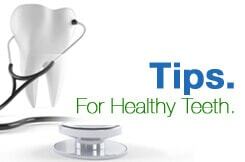 However, good oral hygiene is essential to prevent cavities that can cause pain and require fillings or extractions. Rather than struggling to get your kids to brush their teeth, you can turn it into a fun activity that they will look forward to doing every morning and evening. Kids spend a lot of their free time watching TV and playing video games. You can turn those passions to your advantage by seeking out educational TV programs, videos, or games that teach kids about the importance of brushing their teeth every day. Networks such as Nickelodeon and PBS create educational programming about brushing teeth, and you will probably be able to find a game featuring one of your child's favorite cartoon characters. Turn brushing time into story time. Make up a story about one of your child's favorite characters battling evil cavity monsters with a toothbrush. You can also find books about brushing with clever stories that your child will enjoy. You can turn storytelling into a morning and evening ritual. Children love music. You can make brushing fun by singing a song from one of the programs or games you have found, or by reworking the lyrics to a popular song that your child knows. Keep the same tune and sing the song while your child brushes. He or she can hum along while brushing. The song should be about two minutes long (the amount of time dentists recommend brushing teeth). Another good way to make sure your child brushes for two minutes is to time it. Set an egg timer or stopwatch for one minute while your child brushes on top, and then set it again for another minute while your child brushes on the bottom. You can also look for a toothbrush that plays a song or flashes bright colors for two minutes. If you have more than one child, you can turn tooth brushing into a friendly competition. Have your kids brush their teeth together for two minutes, and then inspect their work to see who did a better job. Reward the winner with a sticker or other prize. Be sure that each of your children wins sometimes so that they will all enjoy it.